My husband wanted some French Dressing to drizzle over some cottage cheese (not one of my favorite treats, but a very popular snack item!) so I whipped up this recipe in about 2 minutes. It's better than bottled French salad dressings (as are all homemade dressings) and you can customize it to your taste. You can make it spicy, or use less sugar, or add herbs. Some thyme and oregano would be delicious in this recipe, as would some cayenne pepper or minced jalapeño peppers if you like it spicy. Add more mustard, or reduce it. Add more garlic or reduce that. You could also add some red or green onions if you'd like. There's a very popular bottled French salad dressing that is close to this one, that adds blue cheese. Try that for another great twist! Or add feta cheese, or some Parmesan cheese for another variation. Just remember, whenever you change a recipe, write down the changes so you can re-create it later. And, as with all homemade mixes and dressings, label it so you know what's in that bottle or jar. This recipe will keep well in the fridge for about a week. 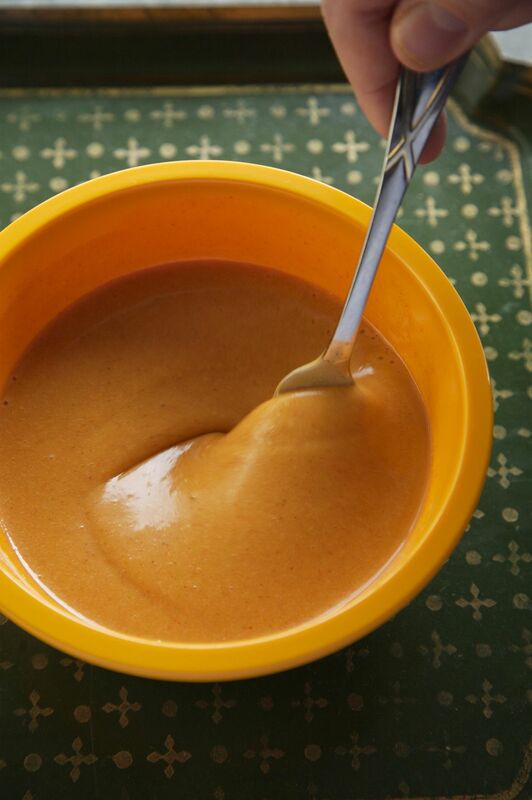 You can cut it in half if you'd like, or double it if your family loves this dressing. Combine ketchup, sugar, vegetable oil, apple cider vinegar, mustard, onion, garlic, Worcestershire sauce, white pepper, and salt in food processor or blender. Cover and blend until the onion is pureed and mixture is thick and smooth. Decant the salad dressing into a jar with a tight fitting lid or another storage container and store in the refrigerator for up to 7 days, stirring before serving if necessary.